Line the baking sheet, pour the dark chocolate, use a spatula to spread out to desired thickness. Use a knife or skewer and swirl the chocolate around until you get the desired look. 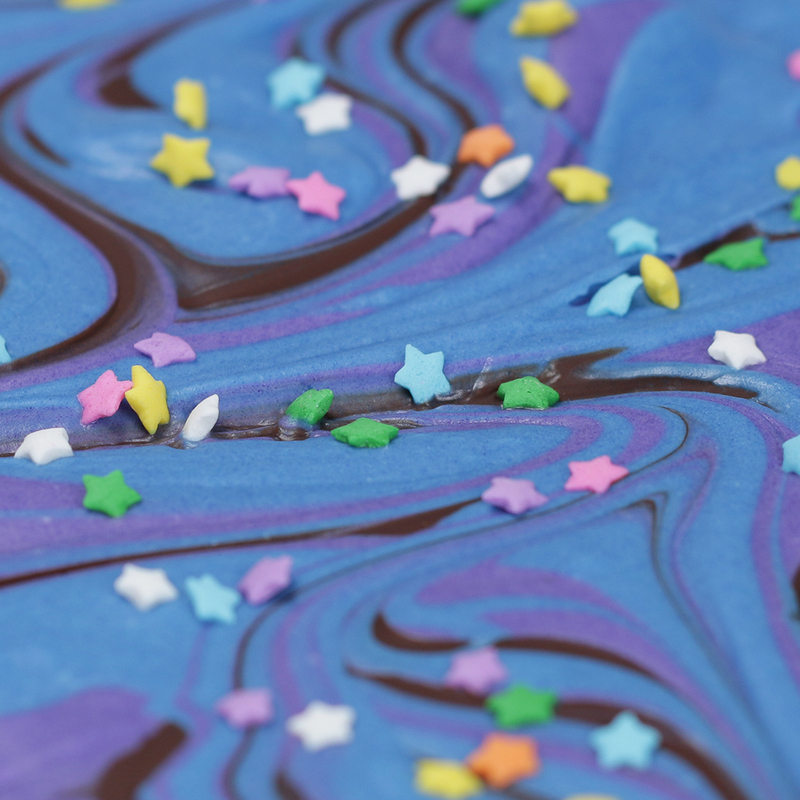 Pour the blue dyed chocolate over the dark chocolate, then the purple dyed chocolate. Again, use a knife or skewer and swirl the chocolate around until you get the desired look. Sprinkle with star sprinkles. Set chocolate for at least two hours. Break apart.